Recorded live at the third Tuesday Taproom Tour event, hosted by Tin Whiskers. Featuring in-person mailbag questions from the audience, some beer drinking, and lots of talk about Zack Granite. Topics for this week's "Gleeman and The Geek" episode included the Twins sweeping the Indians and re-taking first place, the tough upcoming schedule giving little time to celebrate, spending over slot to sign the draft class, getting to know Alan Busenitz and Trevor Hildenberger, the legalities of the Indians' mascot with Bye, Goff, and Rhode, the status of Hector Santiago and Phil Hughes, and LaTroy Hawkins being a breath of fresh air on the Twins' television broadcast. Topics for this week's "Gleeman and The Geek" episode included the Indians sweeping the Twins out of first place, recapping the Twins' draft and no. 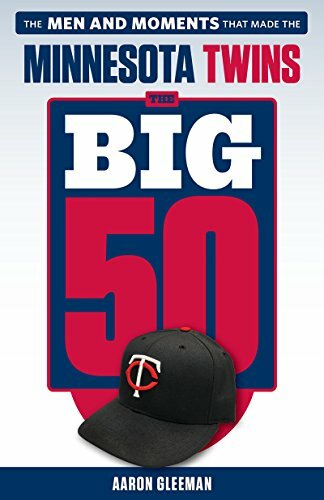 1 pick Royce Lewis signing for $6.7 million, Byron Buxton's underappreciated defense, in-house options to address the Twins' growing rotation and bullpen problems, Eddie Rosario putting the Zach Granite talk on hold, and Jorge Polanco vs. Eduardo Escobar. Gleeman and The Geek #316: Draft, DRAFT, DRAFT! 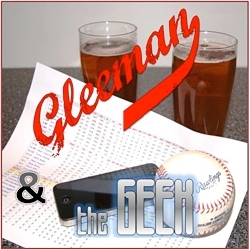 This special midweek "Gleeman and The Geek" episode is all about the Twins' draft, from no. 1 overall pick Royce Lewis and the rest of their new prospects to the outrage-inducing strategy that warrants a deeper examination. Topics for this week's "Gleeman and The Geek" episode included the Twins trying to decide on Hunter Greene, Brendan McKay, Kyle Wright, or Royce Lewis for the no. 1 pick, Nik Turley's debut, Eddie Rosario walking onto thin ice, the bullpen being both bad and not as bad as it looks, and Ervin Santana and Jose Berrios versus the rest of the rotation.